Hide deals from seller "Express Gift"
Limit 1 per person and 1 per transaction. Valid toward regularly priced merchandise. Full value of Gift Certificate must be used in 1 visit. 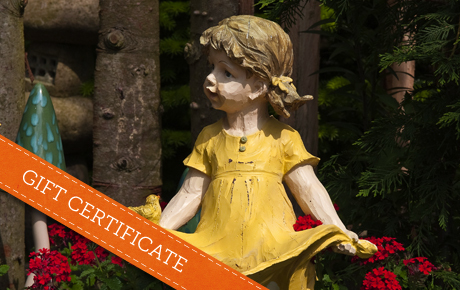 Find the perfect memento with 50% off a $50 Gift Certificate to Express Gift in Mount Prospect. This gift shop stocks a wide variety of classic gifts, high-end items and curios. Their helpful staff will help you select the perfect item for any occasion. In business for five years, Express Gift began as a small shop and grew to encompass items for every imaginable occasion. Whether you’re shopping for yourself or a loved one, their selection of beautiful and sentimental items will captivate you. Select a Willow Tree® sculpture to commemorate life’s important moments, a beautiful piece of John Medeiros jewelry as a special “thank you,” or a stylish Michael Aram piece to spice up your home. Whatever the occasion, Express Gift can help you express yourself. Gift shop in Mount Prospect offering a variety of high-end items.